She was opinionated and feisty. We were at odds even in our political views which she pulled out of a hesitant me. It was evident that she had desired the other one to win and shunned the candidates whom I had considered the lesser of political evils. I told her that I was not. “Proselytizing, converting and debating does not work, “I replied. So we sparred in a very cordial way. Jesus’s spunkiness and feistiness were greater than hers. I told her that I had been on drugs and drinking years back, which she had difficulty in believing. I told her that God had changed my desires. “Oh don’t give God the credit, you did it yourself! “She snapped. She did not have much to say at this point. All in all it was a delightful conversation, spiced with hearty jabs and anti-jabs. Though we were on opposing sides and though she did does not attribute the importance to Jesus which I do, what was present was the lovely Person of Jesus. For many who are at odds with Christianity, the presence of Jesus is very attractive. have met few who are not drawn to Him, though they may not realize it. 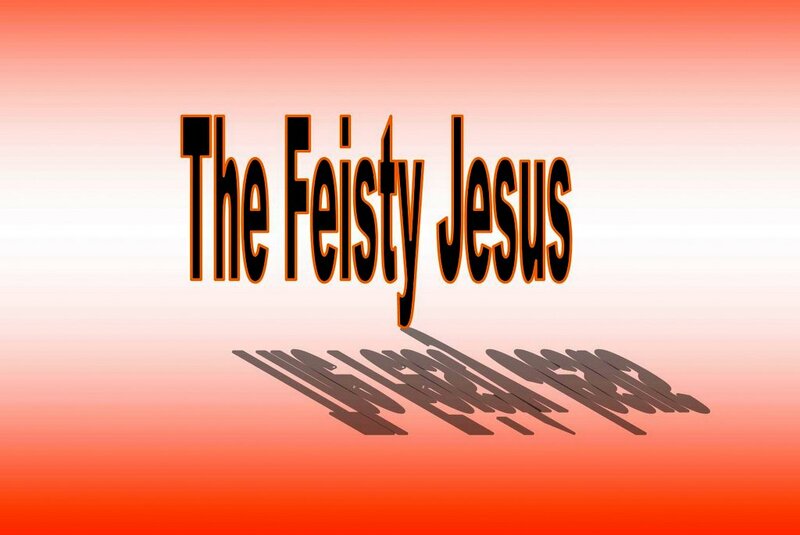 This Jesus had been the witty, spunky and feisty Jesus. Jesus, the God and friend to all men and women. He is the Jesus for all seasons.